In 1714 Royal Governor Alexander Spotswood established Fort Christanna on the banks of the Meherrin River for education, religion, commerce and military protection of the local residents. He named the fort in honor of Christ and Queen Anne. 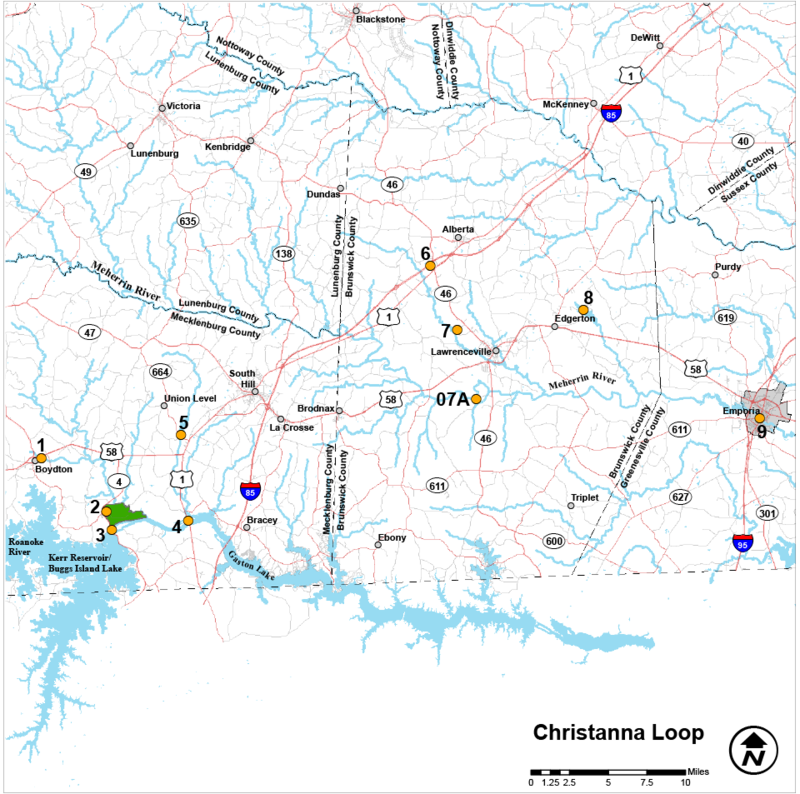 The Christanna Loop takes visitors through some of Southside Virginia’s best sites; not least of which is the massive John H. Kerr Reservoir (Buggs Island Lake) that straddles the Virginia-North Carolina state line. This immense water body is renowned for its wildlife spectacles, ranging from thousands of waterfowl and dozens of bald eagles, to vagrant loons and other more oceanic species. Heading further east, there are a series of smaller lakes and woodlands to visit, each with their own set of residents. Scan the banks of Lake Gordon for a roosting belted kingfisher or strain your neck watching red-eyed and yellow-throated vireos at the Southside Virginia Community College. Wherever your travels take you in Southside you’re sure to find wildlife to enjoy.